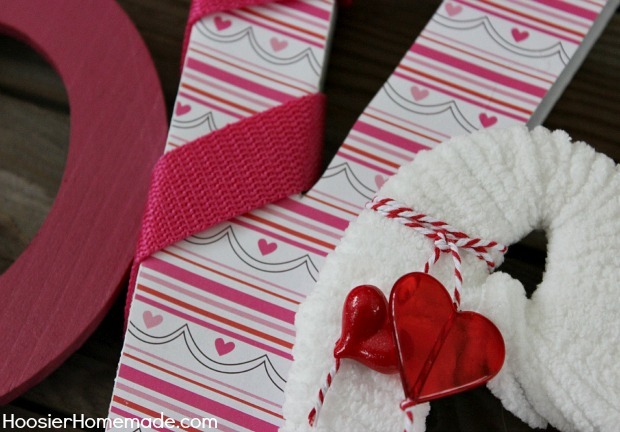 It’s time to get started on those Valentine’s Day Crafts! 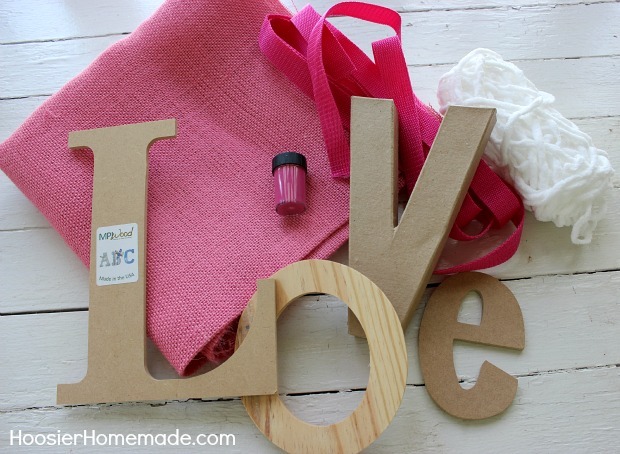 These Love Letters are fun to make, and are perfect for decorating your home or giving as gifts! Ever since I shared the Spring letters and then the Fall letters, I fell in love with how the letters look, especially on the Mantel. 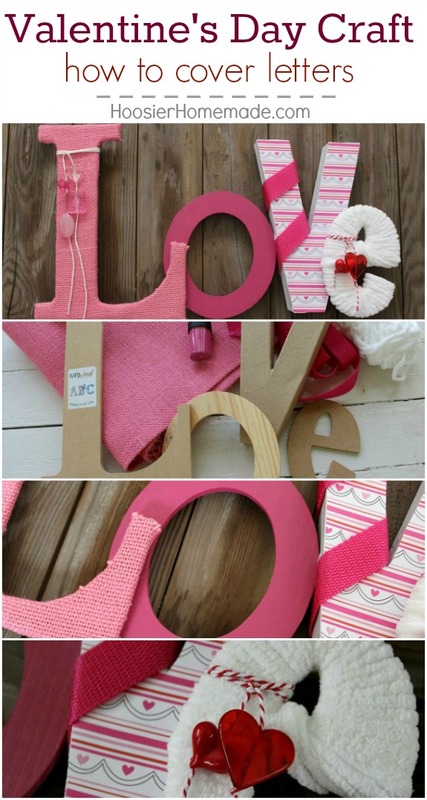 We decided this time to create the Love Letters with different styles and sizes of letters, perfect for Valentine’s Day! Even though the letters are all different and covered differently, the embellishments that we added really make the letters come together. The supply list changed a bit after we started working on the letters and figuring out what would work the best. 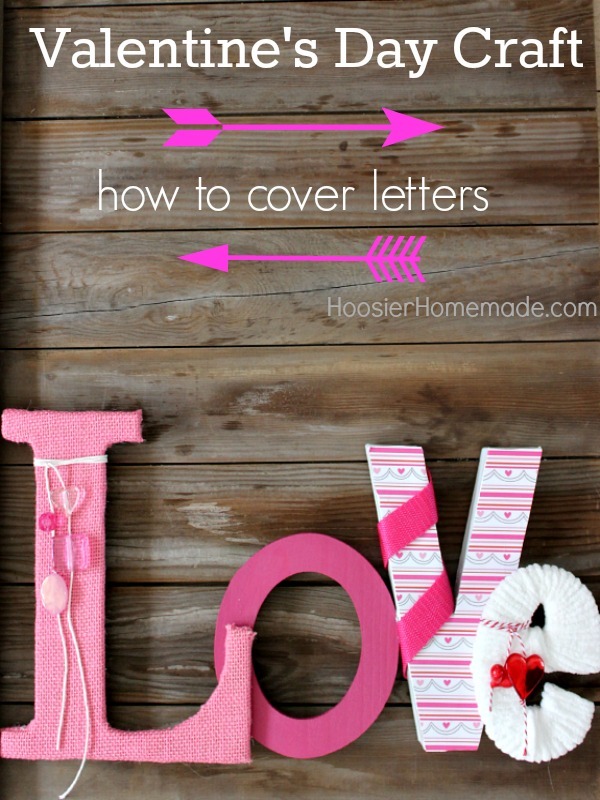 The “L” is covered in Pink Burlap fabric, lightly coat the letter with Spray Adhesive and position the fabric on top of the letter. Cut around the letter, clipping the curves, wrap around and use hot glue to attach in the back. 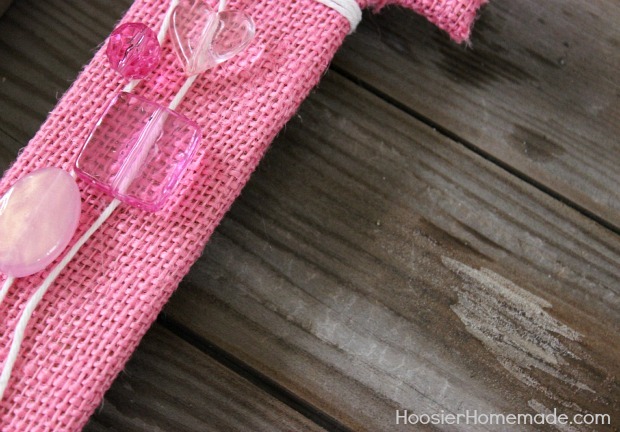 Wrap with twine and add the beads. The twine was too thick to thread through the beads, so I just hot glued the beads onto the twine. 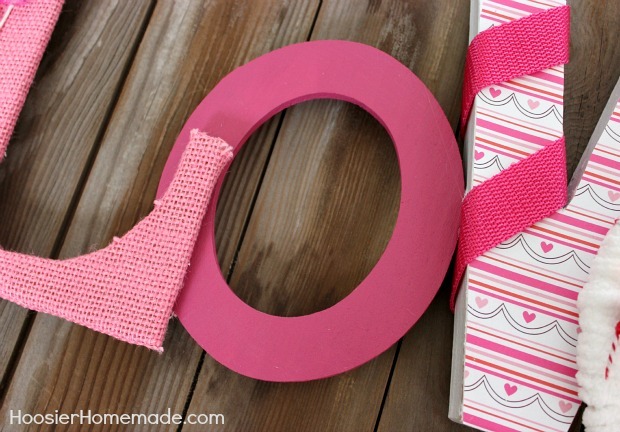 The “O” was simply painted with pink acrylic paint, a few coats is good. For the “V”, lightly spray the letter with adhesive and place on top of scrapbook paper, use an X-ACTO knife to cut around the edges. Hot glue belting for accent. 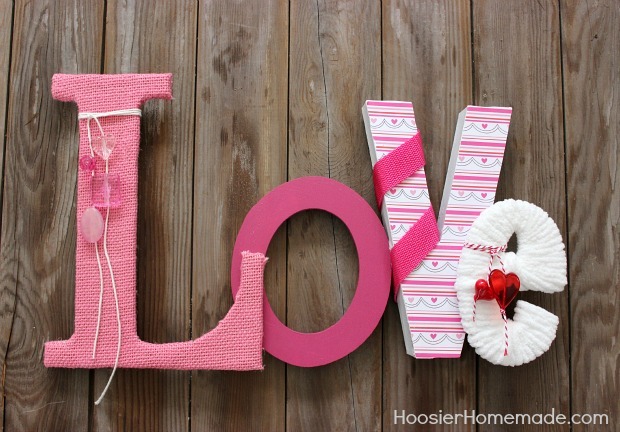 The “E” was wrapped with white yarn, attach on the back with hot glue. 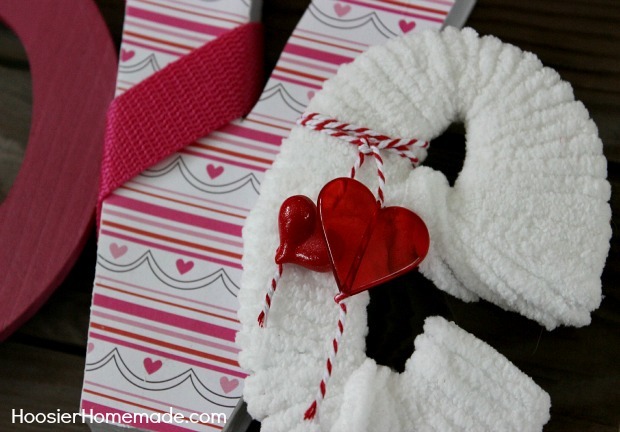 Wrap with twine and add more heart shaped beads. After all the letters are done, hot glue them together. 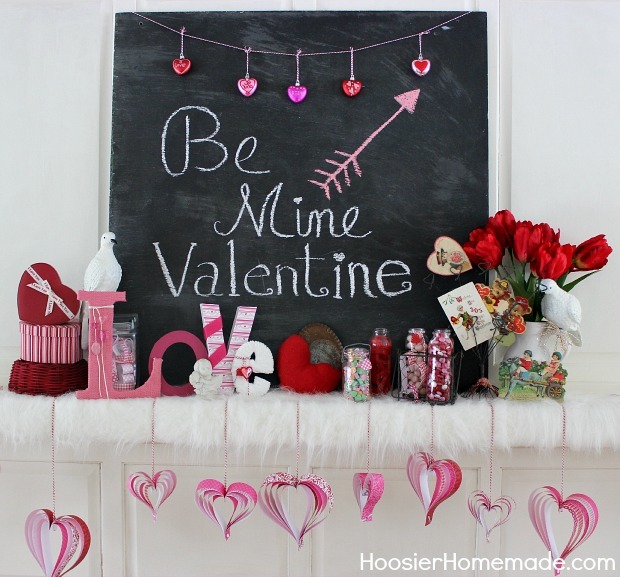 Be inspired by our Valentine’s Day Mantel from a couple years ago. And watch for the newly decorated Mantel coming later this week! I absolutely LOVE these Love Letters! LOVE LOVE LOVE! I wish I were this crafty!! Hi Betsy, I’m thrilled you like the Love Letters! They are so fun to make, I bet you could do them! I love the combo of textures and sizes of the letters!